What made this question hard for the student? How come they got it wrong? Why did the student get it wrong in this particular way? 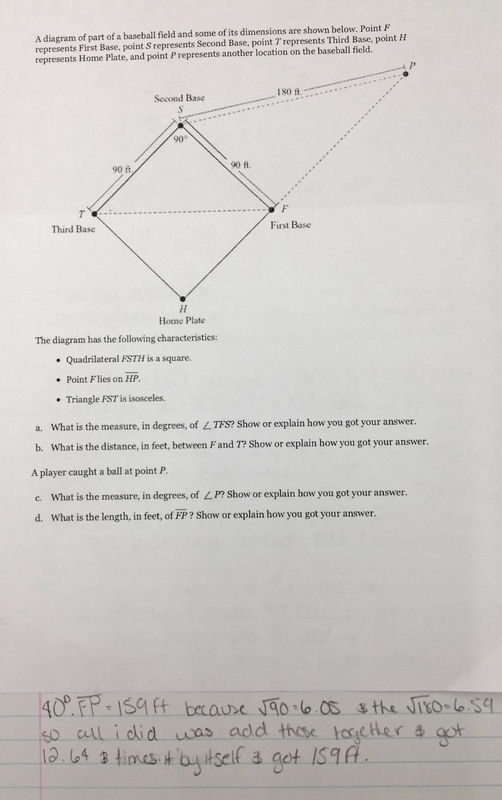 Today’s submission comes from Tina Cardone, who blogs at Drawing On Math. Posted in Geometric Measurement and Dimension, Geometry, High School: Geometry, Pythagorean Theorem, Quadrilaterals, Similarity, Right Triangles and Trigonometry.